Graft hurts growth; transparency helps. It sounds simple, but in China, the arrest of a domestic journalist for defamation and heavy-handed treatment of foreign news organisations suggest the message isn’t getting through. A free press can’t make corruption go away on its own. Without one, however, the economic benefits of any cleanup will be limited. 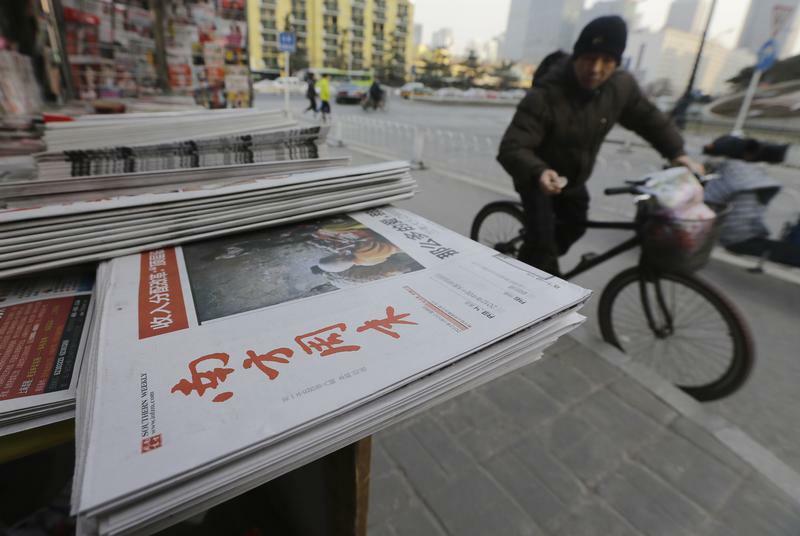 China’s press is doubly dysfunctional. On one hand, journalists face heavy-handed strictures on what they can do. China’s foreign ministry rejected a visa application by Reuters for veteran reporter Paul Mooney, without giving a reason, the company said on Nov. 9. Mooney has reported extensively on human rights in China. Other organisations face intense pressure to toe the line. According to the New York Times, editors at Bloomberg – which competes with Thomson Reuters, owner of Reuters Breakingviews – decided against publishing an investigation into links between a wealthy businessman and the families of Chinese leaders amid concerns about how the government would respond. Corruption is endemic in the domestic media too, which further de-fangs the watchdog. Reporters commonly accept money for turning up at events, and sometimes demand it for writing favourable stories. Hong Kong, which battled corruption in the 1970s, found that success depends on the whole of society accepting that paying or taking bribes is wrong. When guardians of public opinion are on the take too, there is little chance of that philosophy gaining traction. China’s engrained fear of chaos offers some explanation. Top-down purges allow the leadership to target specific individuals without upsetting the whole system. That’s important in a country with effectively one political party. Consider destabilising exposés in the Philippines, where president Joseph Estrada was ousted after investigative journalists exposed his hidden assets in 2000. The same year Thailand’s prime minister Thaksin Shinawatra found himself under similar damaging scrutiny. Investors in China value stability. But they want the rule of law, too. China’s new leaders talk constantly about reform and tackling corruption, and some of their actions seem to match. In the past year, the country has defenestrated a railway minister, Nanjing’s mayor, executives at a state-owned oil driller and a shipping company director. That is progress. Without a press that’s free to question and comment, though, it will be hard to prove to citizens and investors that the fight against corruption is driven by facts, and not just factionalism. A stack of the Southern Weekly are left on display at a newsstand in Beijing, January 10, 2013. China’s foreign ministry rejected a visa application by Reuters for reporter Paul Mooney, the company said on Nov. 9. No reason was given for the decision, for which there is no formal appeal process. Editors at Bloomberg, a financial data provider which competes with Thomson Reuters, declined to publish an investigative report detailing financial ties between one of China’s wealthiest men and Chinese government leaders’ families, the New York Times reported on Nov. 9. Matthew Winkler, editor in chief of Bloomberg News, was cited by the report as saying the New York Times’ information was “untrue”, and that the stories in question were “active and not spiked”. Chen Yongzhou, a Chinese journalist at New Express, confessed to accepting bribes on state television on Oct. 26. Chen had authored stories alleging fraud at Zoomlion, a state-owned machinery maker. Chen faces criminal charges of damaging Zoomlion’s commercial reputation. Premier Li Keqiang, who took office in March, has called for more transparency in government affairs. In a speech reported by Sina on March 26, Li said that China’s government should be prepared to “accept the supervision of the public and the media”.